Celebrate birthdays with awards that children are proud to take home. They are easy to customize with personal messages, notes and praise. 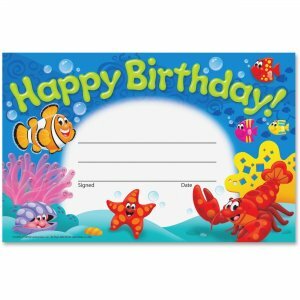 The background reads "Happy Birthday" in bright green letters and is decorated with well-wishing sea creatures. Recognition awards coordinate with the Sea Buddies Collection.